McCormick For Chefs is marking the launch of new sub-brand McCormick Culinary by introducing 28 new products in ‘midi’ sized, or half-sized, canisters and repackaging its existing range. Delivering quality spices, herbs, seasonings and condiments that provide all the flavour essentials for the professional kitchen, McCormick Culinary’s new packaging has been designed for, and approved by, chefs and features easy to comprehend flavour descriptions and photo-realistic botanical illustrations. The new ‘midi’ size PET canisters will be ideal for the growing number of smaller foodservice outlets such as cafes, delis and bistros which prefer not to purchase condiments, herbs and spices in large volumes. 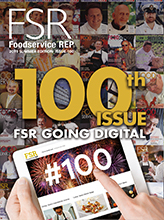 They are also the perfect choice for catering businesses whose operational policies require the rotation of stocked ingredients within a timeframe which may be shorter than the product’s actual shelf life. In such cases, choosing the smaller midi canister can help minimise wastage while ensuring adherence to internal stock management guidelines. McCormick Culinary’s new midi canisters also make it easier for both distributors and end-users to trial new flavours and products, as the cost outlay is correspondingly lower. The exciting new products include the most popular flavours identified in emerging culinary trends through McCormick’s research, as exemplified by its famous annual Flavour Forecast. In line with McCormick For Chef’s commitment to offering uncompromising flavour and superior blending capabilities, all these feature McCormick’s unique formulations and superior, authentic quality. 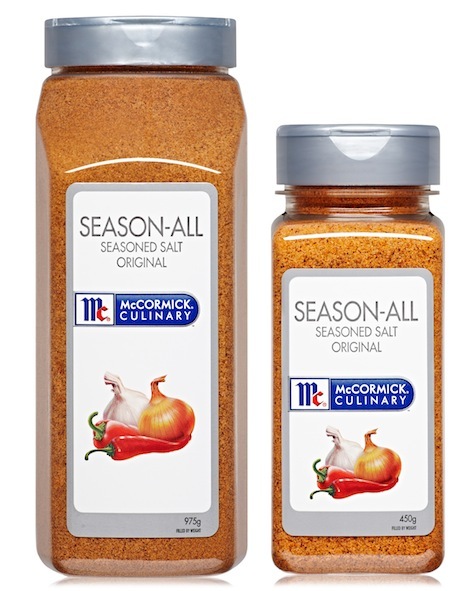 Roasted Spices – McCormick Culinary is the first brand to bring roasted spices to the foodservice market. Their deeper, richer, earthier flavour can add a new dimension to curries, sauces and all wet dishes and deliver greater flavour intensity. These can be used in addition to or as a substitute for the standard spice. Ras El Hanout – an authentic Middle Eastern blend of pepper, cloves, coriander, cardamom, fennel, turmeric, ginger, nutmeg and allspice, this is ideal with meats, pulses and hard vegetables and works particularly well in combination with fresh herbs. Sumac – A staple in Middle eastern cuisine. Unlike other sumac, McCormick Culinary Sumac is 100 per cent sumac with no processing agents to alter the flavour of this aromatic, lemony berry. Pink Peppercorns – McCormick Culinary pink peppercorns have been chosen for their premium quality. May be used on their own or as part of a pepper medley. Fajita Marinade and Seasoning – a generic Mexican blend with robust flavours, perfect as a dry marinade or can be mixed with oil to the desired consistency. Taco Seasoning – a Mexican blend with milder heat ideal for flavouring meat, pulses and dips. Moroccan Seasoning – the industry’s most popular blend, made even better with McCormick Culinary’s authentic herbs and spices from the region. Peri Peri Seasoning – a staple in QSRs and pub menus, this combines traditional ingredients of chilli, lemon, lime and selected herbs. Gyros Seasoning – perfect for lamb and kebabs, this traditional Greek recipe works just as well with all other meats and modern Australian dishes. Chicken Salt – sensory testing scored McCormick Culinary Chicken Salt as “best ever” against the market leader, in both overall liking and taste preference. The McCormick Culinary midi range also includes Keen’s Curry Powder, previously only available in retail tins or large 2.5kg pails – now you can order Australia’s favourite curry powder in a convenient midi canister! McCormick For Chefs provides unrivalled solutions to meet the unique needs of foodservice professionals. No other company brings more sensory science experience, product innovation, flavour expertise and consistent high quality to a chef’s recipe -thereby ensuring success.